On the face of it, you would expect to see BlackBerry report a handsome turnaround in market share in most countries. The BlackBerry Passport has become the most talked about 'Berry since the BlackBerry Storm, and the BlackBerry Classic also seems to have caught on with smartphone buyers. But according to Seeking Alpha's Mark Hibben, based on market share data from Kantar WorldPanel, BlackBerry is actually going to report a market share decline of 50% in most countries for the company's third quarter report for fiscal 2015, due out this Friday. For the quarter, Hibben sees phone sales dropping to 960,000 units from last year's 1.9 million units sold. Revenue from hardware sales will be 51% lower, with overall revenue declining 20%. The only market where BlackBerry won't see a huge market share decline is the Asia Pacific region, according to Hibben's forecast. By the end of this week, we should know whether Hibben has nailed it, or whether his doomsday scenario was too harsh considering how BlackBerry does seem to be turning things around. Besides what seems like strong demand for its two new handsets, BBM now has 91 million cross-platform members and BlackBerry has started to monetize the app. Additionally, BES12 will help a corporation track a fleet of muli-platform phones including iOS, Android, BlackBerry and Windows Phone models. Hibben is not a professional equity analyst, so keep that in mind before you have a stroke. He has a masters in Electrical Engineering and is an iOS developer, which just might taint his forecast. "Hibben is not a professional equity analyst, so keep that in mind before you have a stroke. He has a masters in Electrical Engineering and is an iOS developer, which just might taint his forecast". An iOS developer? That says it all right there. Hidden agenda, anyone? There's no way this report can be considered credible. I honestly fail to see the hidden agenda. What does he lose with BlackBerry? People with iDevices are not flocking to Blackberrys.... When people attack the writer rather than the material it makes for a very weak argument and smells of desperation. Well.. I am not too sure if it is a good idea to bid against John Chen. I for one have made money every time the week of BlackBerry's ER. I hope not too many are fooled by this article. I think Hibben really nailed it. The earning report is a real disaster. The total revenue is even lower than what Hibben think it would be. They posted a small profit and positive cash flow on weak revenue. How many companies do you know of that can/has done that on weak revenue? The turnaround continues. Look for BlackBerry to remain cash-flow positive from this point on and post continually positive profits. Slow and steady wins the race. From:http://www.valuewalk.com/2014/12/blackberry-ltd-beats-earnings-misses-sales/ Reported losses per share were 28 cents, compared to last year’s losses of $8.37 per share. ---- LOST 28 CENT, NOT POSITIVE!!!!! ---- Fromhttp://www.northjersey.com/news/business/blackberry-posts-3q-adjusted-profit-revenue-down-1.1171155 Blackberry reported an adjusted profit for its fiscal third quarter, surprising Wall Street. But its revenue fell, missing analysts' estimates. --- ADJUSTED PROFIT!!! For the period ended Nov. 29, the Canadian company lost $148 million, or 28 cents per share. That compares with a loss of $4.4 billion, or $8.37 per share, a year earlier. Stripping out some charges, earnings were a penny per share. .................. ! !The small profit / cash positive is ADJUSTED PROFIT, it is called adjusted because it's NOT REAL profit, but because it is from the result from selling asset. 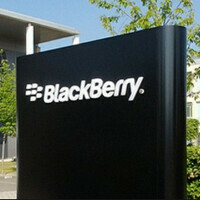 You're showing reports that are comparing BlackBerrys results to a year ago, same quarter. I am referring to a quarter by quarter basis. Yes, the revenue took a huge dive. No one, not even me, I is denying it. However, they produced a small profit nonetheless. Doesn't matter how they got the profit, or how small it was, a profit is a profit. Whether it came from selling off assets,etc. BlackBerry did what it had to do to remain afloat. With said fat trimmed, and having generated a small profit, PLUS positive cash flow, we will see even more improvements going forward. The sales from the PASSPORT AREN'T EVEN INCLUDED in this quarterly report. As I said, look for BlackBerry to CONTINUE to manage the business well, and CONTINUE to be cash flow POSITIVE and generate more profits going forward. They beat the streets estimates on positive cash flow and reversed the negative profits. At the end of the day, THAT IS ALL THAT MATTERS. The shareholders clearly agree with what Chen is doing, and the stock adjusted itself from being a full 6 percentage points down to now only 0.79 percentage points down. That's shows that those in the know and those that really matter when it comes to BlackBerrys continued operations are behind the company 100%, and have faith that John Chen is getting the job done. That's what's important, not what someone like that CONSTANTLY trolls BlackBerry articles has to say. Here is some better perspective for you, taken from my favorite BlackBerry site that has quotes from John Chen himself, someone who knows MUCH MORE about BlackBerrys state of being than you or the links you've listed: John Chen in response said: “They [investors] are not listening to what I said.” “We told them that this quarter the revenue would be lower, and none of them listened — they jacked their revenue up,” he said. So BlackBerry dumped a lot of the speculative unfaithful uninformed investors. Thank you! Buy time! After the E.R. the stock immediately dropped from 10 to 9.23. I guess they missed the part that BlackBerry had posted a profit that exceeded expectations. I guess they missed the concept that profit is a good thing even if revenue is down , because it indicates that the company is more efficient. I guess they missed the Boeing, Ocean Capital Investments, Nanthealth, Samsung and Secusmart deals. I guess they missed the part that the Classic is already selling better than the PassPort at launch, which was damn good all in itself, demand outselling supply in both cases. I guess they didn’t think long enough to realize that the potential of both of these hot sellers is not even reflected in the Q3 earnings. Mr. Chen blamed the shortfall partly on the unexpected success of the new oversized Passport smartphone as BlackBerry scrambled to meet higher-than-expected demand. The company was unable to deliver all orders in the quarter on time, meaning the revenue from many of the phones will only appear in the fourth quarter. In another welcome development, the response to this week’s launch of the Classic, a smartphone aimed at diehard users, was positive. Unlike recent BlackBerry products, carriers seem willing to promote the new device. hare In a true Tortoise and Hare scenario, the jumpy panicky Wabbit sold out as the slow wise Tortoises began to investigate and dig in to the real news. These are the investors who will win the race. And as I said in my previous post, the stock has all but made a full recovery to its previous number. No matter how you say, no matter how much you believe it, BlackBerry isn't dying. They are here to stay.